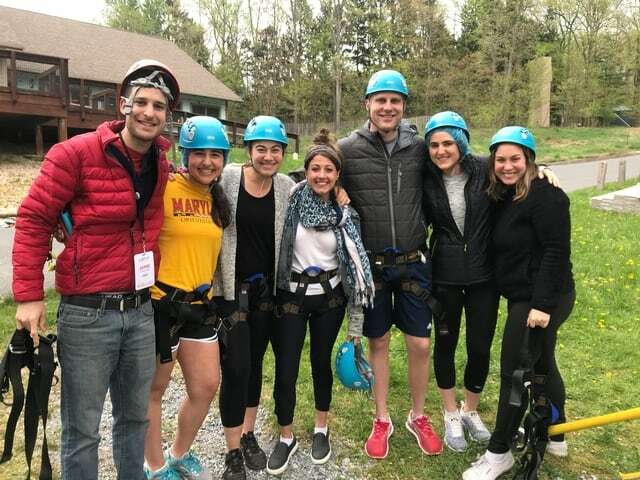 I chose to spend a year as a JDC Entwine Global Jewish Service Corps Fellow in Rwanda because I knew it would transform the way I think and behave – as a life-long traveler, a female, a millennial, a friend and family member, and as a Jewish person. And it did that, and more. So when I was asked to participate in re:entwine, Entwine’s annual alumni gathering, along with year-long JSC Fellows and Entwine trip participants, I jumped at the opportunity. Not only was I excited to see friends from my time in the field, but I looked forward to meeting other like-minded people who chose to dedicate their time and energy to issues that JDC supports. Everyone who knows me is well aware of my search for meaning and purpose. I believe things happen for a reason and we have the chance to learn valuable lessons from life’s ups and downs. So I was extra excited when I found out the re:entwine theme for the weekend was resilience – a topic I find both fascinating and personally challenging. Opening up to people you don’t know can be incredibly difficult, but also rewarding. As research professor, Brene Brown, has said: “Courage starts with showing up and letting ourselves be seen” and being vulnerable is a type of braveness that people take for granted. There must have been some sort of magic fairy dust in the rainy Pennsylvania air that weekend, because people showed up, opened up, and gave all of themselves to the group. At one point I was sitting with a few people from Argentina, Israel, Russia, and the U.S. looking over Entwine Value Cards dissecting each term to see which best fit me. After much deliberation, I decided on Intentionality, Curiosity, Tikkun Olam, Community Building and Honesty. Throughout the weekend, I had a chance to see my values in action. I had challenging conversations with Entwine alumni that made me reflect on my beliefs. I met interesting people who had their own businesses, ran non-profits, and came from different backgrounds from myself. I learned of other’s amazing work to make the world a better place, inspiring me to do the same. I got to be a part of a community focused on building one another up through the work of JDC. And, I focused on being honest with myself and the other participants as we shared our thoughts and feelings. Living by a clear set of values helps us all have a bit more direction in our lives. Entwine has once again given me the opportunity to look inside myself and be a better version of who I aspire to be.